Abu Dhabi: Most teenagers are clueless about which career path they should pursue after high school. But instead of groping in the dark, an Abu Dhabi teen decided to help himself and his peers by creating an online career platform. Tanishq Kumar, who has designed the website CareerFear, said his main objective was to provide an interface for teens to explore career possibilities in keeping with their needs. 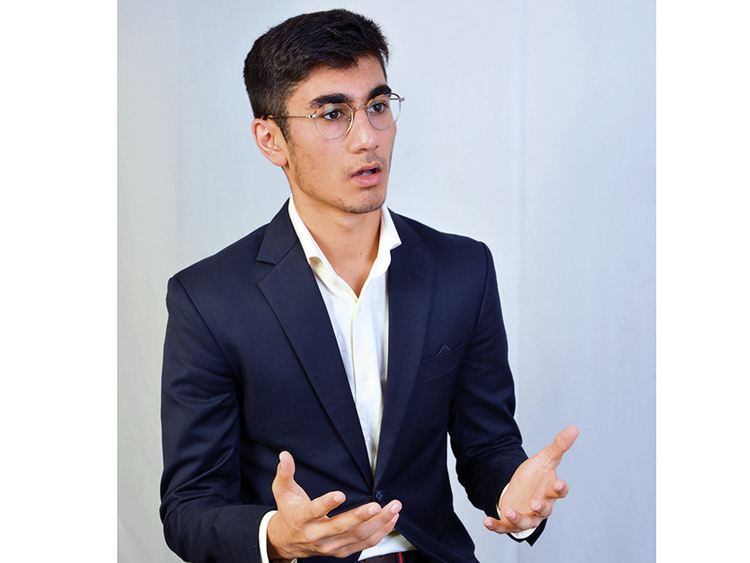 “I started working on this non-profit service a year ago, but it was launched only a few months back,” said Kumar, who like other teenagers found himself at a loss on what line of study to take up after finishing Grade 10 at Cranleigh School, Abu Dhabi. “I was interested in a professional field, but had no idea what it would entail. Also, there was little accessible information online,” he recalled. 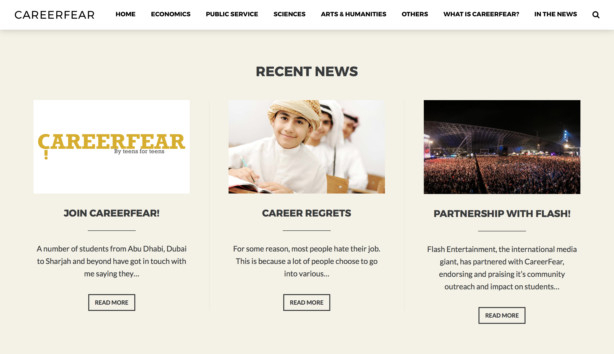 Kumar claimed CareerFear is the go-to career site for teens in the UAE. He said it carries useful video interviews of professionals from different fields who extensively talk about their jobs. Handy topics like working hours, salary and educational requirements are also discussed. Different job titles are profiled by featuring success stories. Additionally, there is a ‘recent news’ section with external links for further reading. CareerFear is simple and functional in its approach, Kumar said. According to him, those profiled have been deliberately chosen from different fields to show teens the myriad career paths they can consider. The candidates have been selected not just on the basis of their educational qualifications and job successes, but also their ability to explain things clearly. Many of those interviewed on the site vouch for its success model. “A community initiative for teens like CareerFear is much needed not just in the UAE but also around the region,” said David Jelley, hospital director of Mediclinic Al Jowhara who has been featured on CareerFear. Kwame Dadson, an IT professional who has also been interviewed by the site, wished he had access to similar resources while growing up. “It is a wonderful medium that moves information from experts who have it, to teenagers who need it,” he said. Kumar said CareerFear has had hits from hundreds of teens, although its journey has just begun. Inspired by the website, professionals are now reaching out to him to offer their insights while student volunteers help in any way they can, he claimed. “I hope CareerFear will be able to achieve what it has set out to on a large scale,” added Kumar.